Two men were remembering their wedding days. "It was dreadful," said Fred. "I got the most terrible fright." "What happened?" asked Harry. 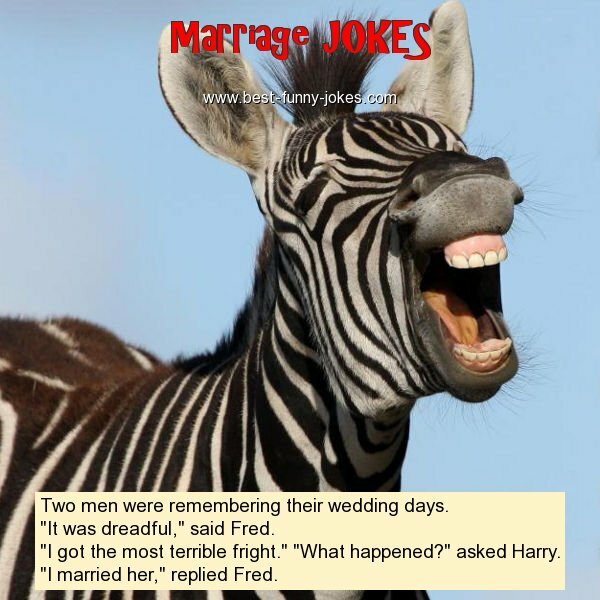 "I married her," replied Fred.